Spring is in the air…and so is the scent of cherry blossoms as they bloom across Washington, D.C.! The three-week-long National Cherry Blossom Festival celebrates the truly remarkable occasion, and is filled with events that honor the relationship between the U.S. and Japan (the trees were a gift from Yukio Ozaki, the mayor of Tokyo, in 1912). People flock to the nation’s capital to see all the peachy posies and marvel at the sea of pink and white. Curious as to when the peak bloom date is? The National Park Service defines that as the day when 70 percent of the trees surrounding the Tidal Basin have opened their buds…and they’ve got all the updates on this ‘Bloom Watch’ page. 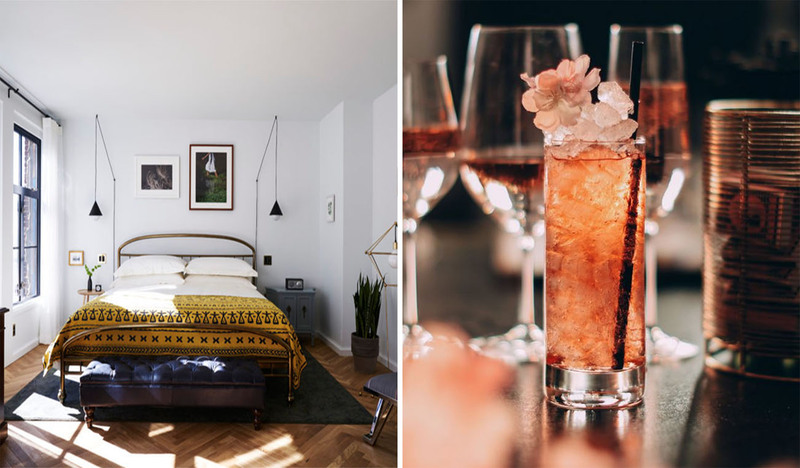 Whether you’re popping in for just a day or two or staying for the entire festival, we’re sharing several places to stay, eat and drink while in D.C., including a few special places you need to check out to get the full cherry blossom experience in!! The LINE DC is a prime location for the seasonal festival as they pay homage to it in a multitude of ways: a gorgeous public art on the façade of their 110-year old church in Adams Morgan, a special cherry blossom-inspired menu, and even prepped picnic baskets to take and enjoy as you view the blooms. 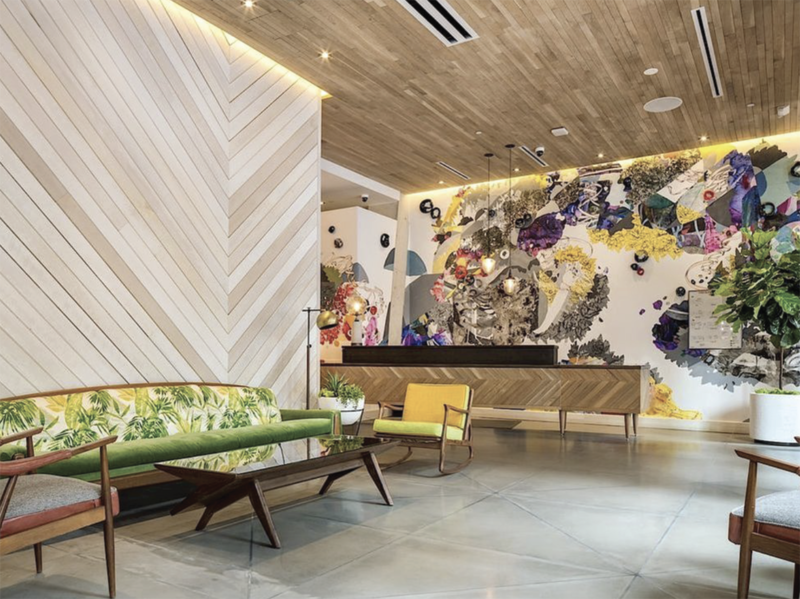 The POD Hotel DC is located in the heart of the Chinatown area, and while the rooms are small, the prices make this a fantastic mid-range option for exploring. It’s the area’s first micro hotel, offering a fun alternative to the *typical* hotel stay. It’s also in a great location to walk to some of the city’s main attractions + monuments. Photo by Pixellab. 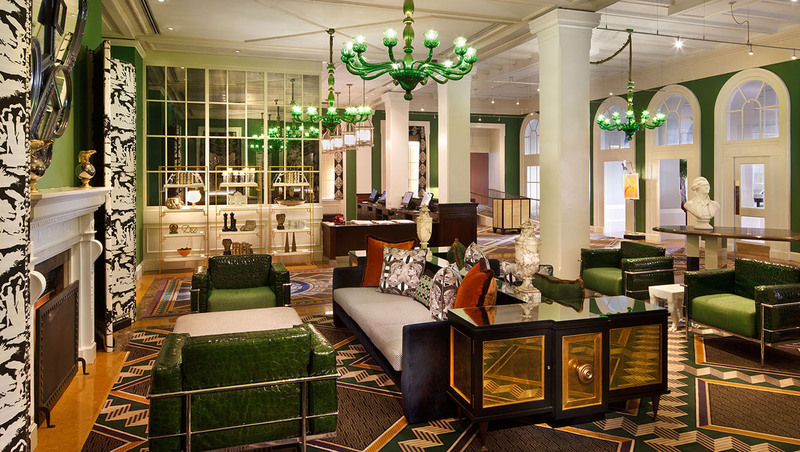 Kimpton Hotels has several D.C. locations and they’re offering a special for the cherry blossom season! Choose from 10 different hotels, each with a cherry blossom getaway package. Snag a cherry blossom-themed swag bag (which includes cherry blossom-themed chocolate-covered cookies…yum! ), along with a gift card to their partner shop, Shop Made in DC—which is home to some of D.C.’s best creatives, makers + artisans. 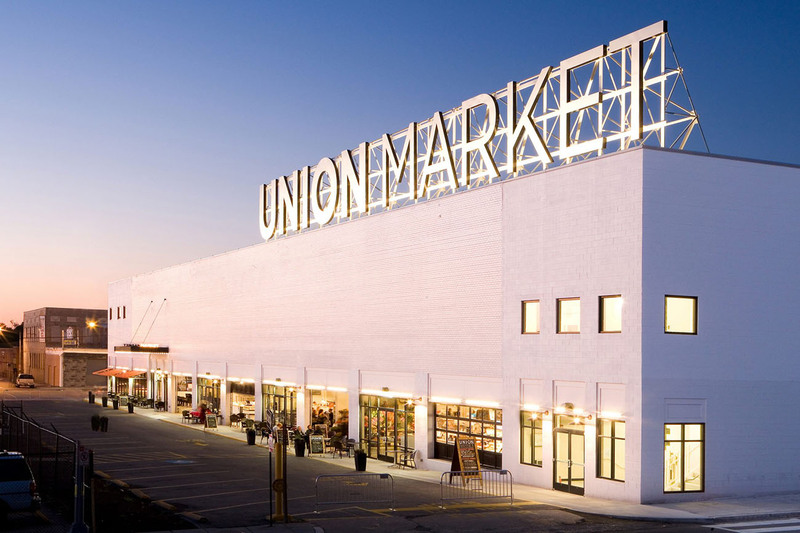 Dive in to Union Market, D.C.’s hippest feasting ground! The industrial-chic market features over 40 culinary vendors and truly has something for every palate—from Korean tacos to fresh seafood to BBQ and much more! There’s never a bad time for doughnuts, is there? Well, sink your teeth into a scrumptious vanilla doughnut packed with a cherry filling and a vanilla bean cream cheese glaze. Plus, its cherry blossom design makes it the perfect photo op! Milk Bar is in on the action and created a cookie specially for the season! 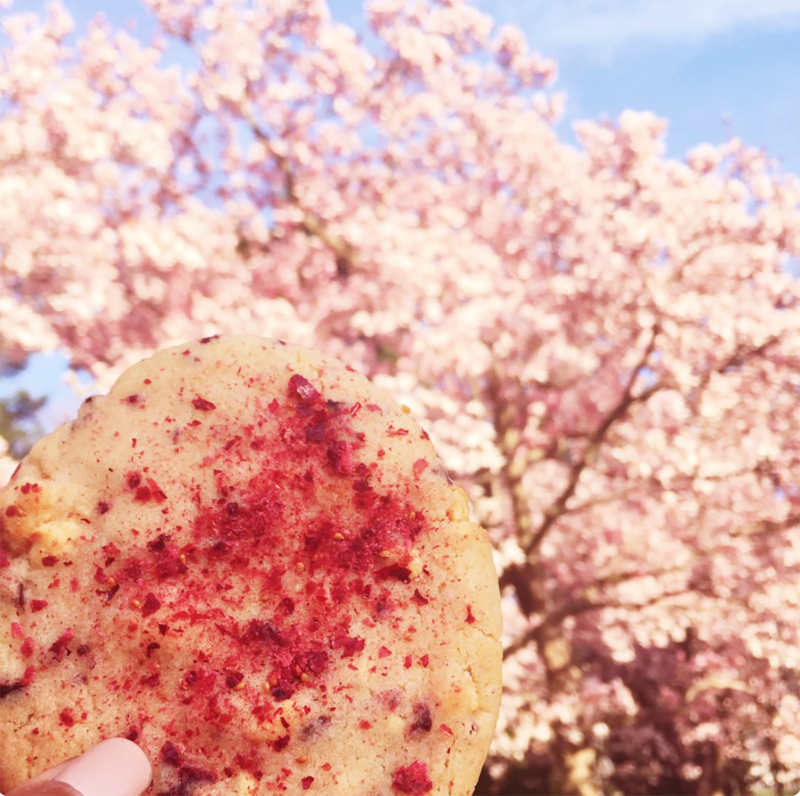 And who wouldn’t want to snack on a Cherry Rose Cookie? The fruity-meets-floral delight mixes together freeze-dried cherries, tasty milk crumbs, rose water essence, and of course, a dusting of dried cherries. If you’re staying at the Pod DC, you’ve got a built-in lounge + restaurant! With three floors of great music, tasty bites and craft cocktails, Crimson is where it’s at! 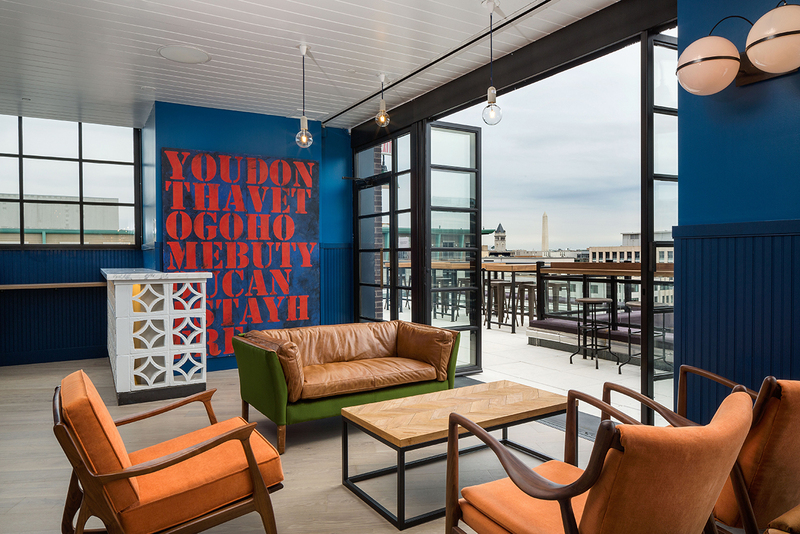 Plus, they’ve got a variety of spaces for you to hang out at, including a rooftop bar with views of the Washington Monument, a Southern-inspired diner, and even a whiskey pub. One thing you don’t want to miss: their specialty cheesecake with cherry sauce for $8.00. Photo by Pixellab. 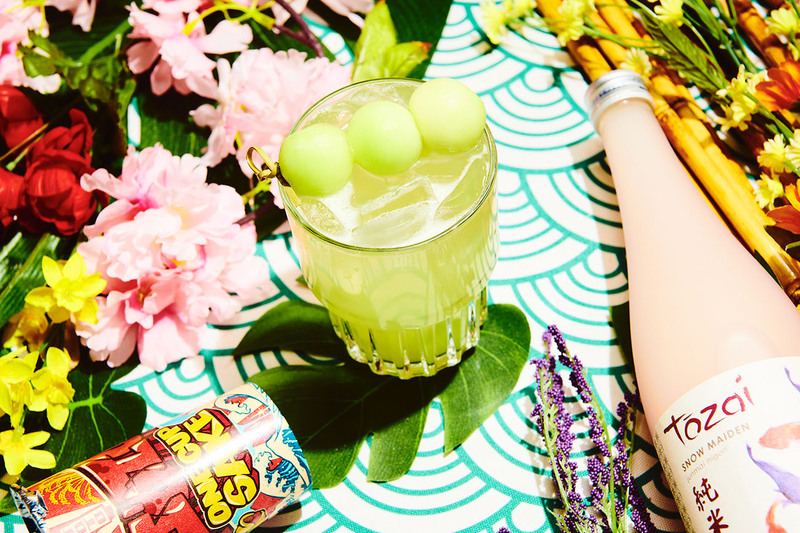 As the Cherry Blossom Festival celebrates the relationship between the US and Japan, the Cherry Blossom Pop-Up Bar incorporates a ton of elements from Japanese culture. 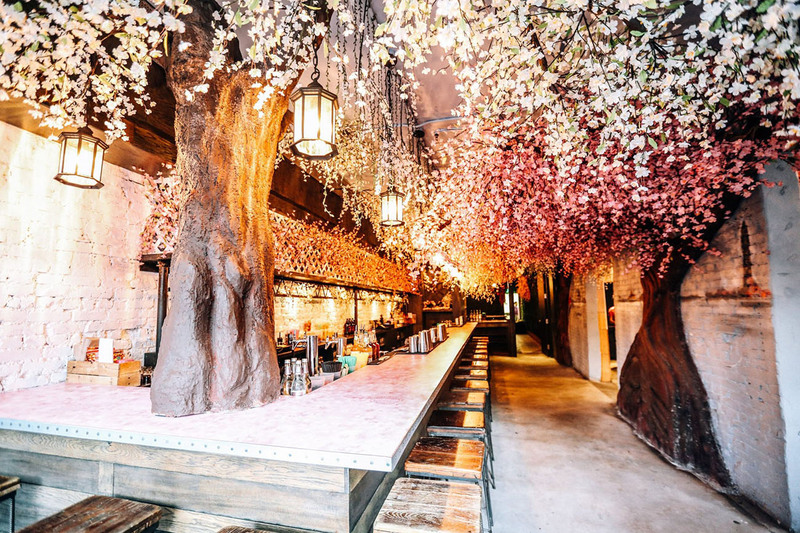 And you’ve got to see it to believe it…they’ve got one bar that resembles a pagoda or teahouse, a Godzilla-themed room, one that’s decked out with butterflies and looks like a whimsical garden, a whole ramen menu, and of course, Japanese-inspired cocktails. Oh, and that photo above? That’s just a canopy of around 90,000 blossoms. No big. Gregorys Coffee is quickly becoming a local favorite with its four locations across the city. And we’re allllll for good coffee! 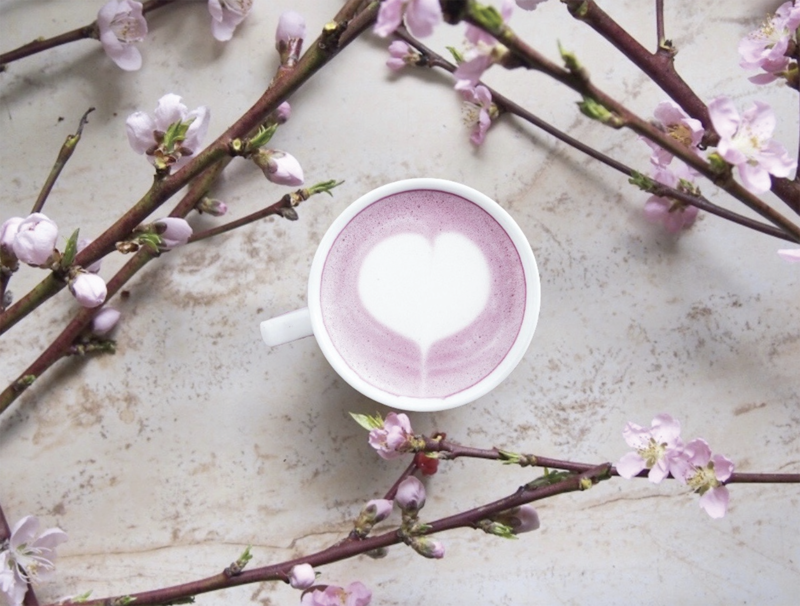 But what really interested us, especially for the Cherry Blossom Festival, is their specialty “Cherry Bomb” latte, made with oat milk, espresso, strawberry syrup, and cherry blossom extract topped with edible flowers. Sounds delish, doesn’t it? Hello, Republic Restoratives! 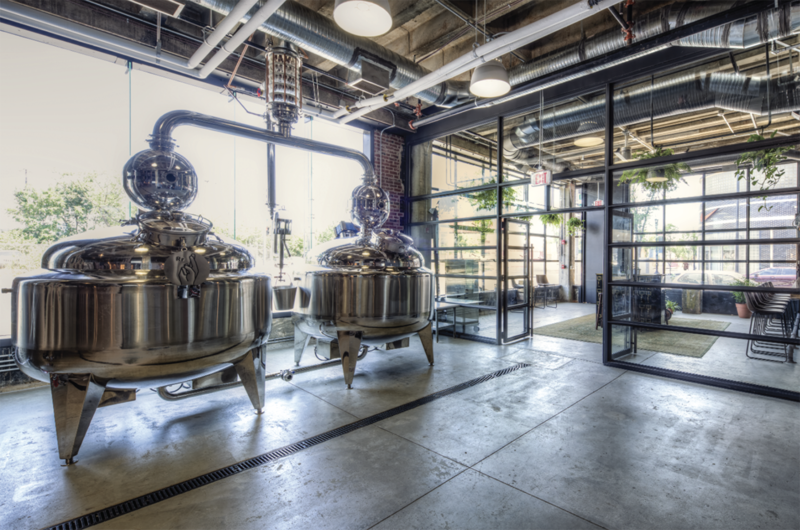 This cool location is Washington D.C.’s only women-owned and operated distillery (cheers to these gals!). 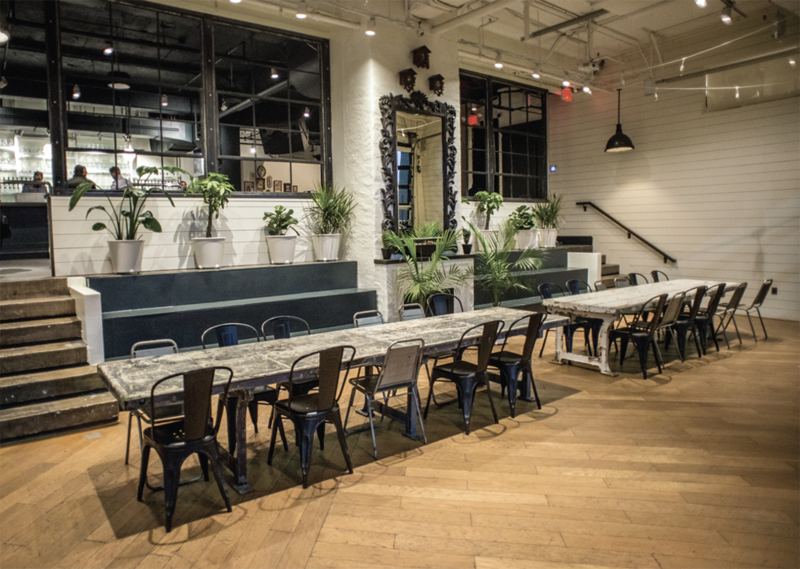 They produce their own in-house, limited-batch spirits—including Civic Vodka, Borough Bourbon, Rodham Rye and Chapman’s Apple Brandy—and also have a tasting room, along with the Ivy Room, where you can sip of a variety of handcrafted cocktails. 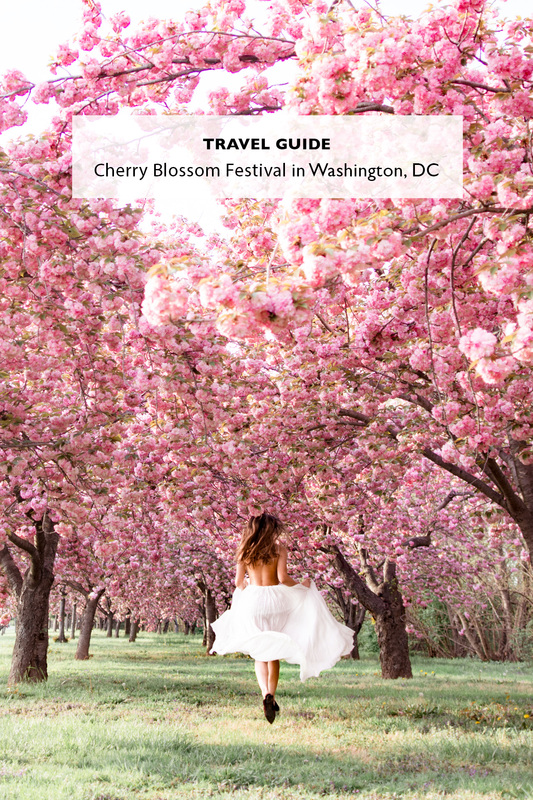 Have you been to D.C. for the Cherry Blossom Festival before or are you planning on going this year? 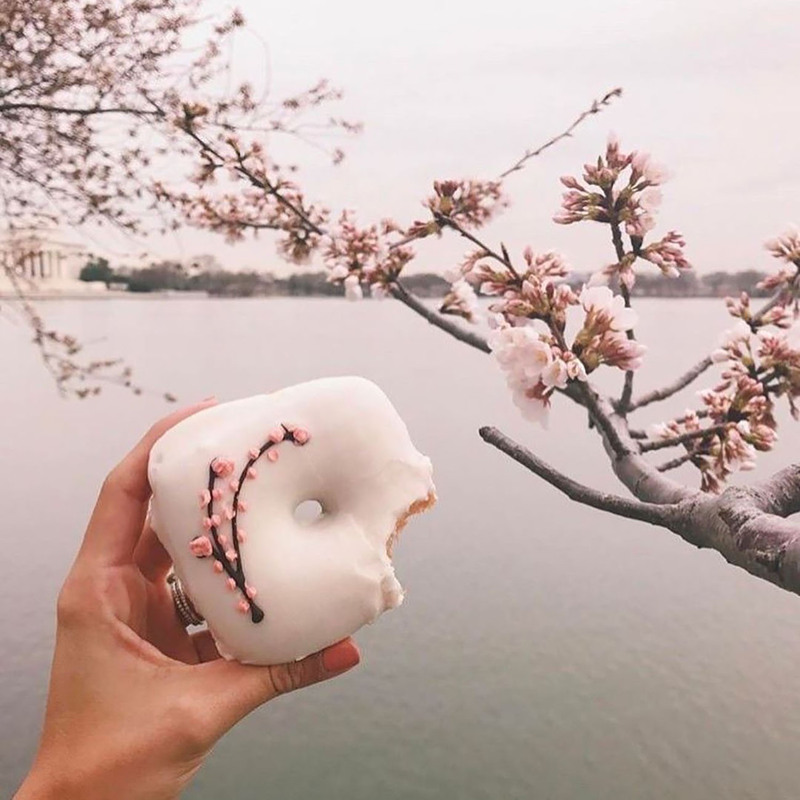 We’d love to hear what your experience visiting the cherry blossoms is like in the comments below!